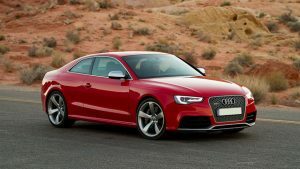 One of the newest and most popular luxury vehicles available today, Audi has become one of the leaders in combining technology along with every comfort and luxury imaginable. With each component carefully designed with performance and comfort in mind, Audi drivers have learned to expect the best when it comes to their cars. A key component of keeping your Audi in that perfect driving condition is making sure to follow your Audi’s specific service schedule. For Audi owners in Pineville, North Carolina, A&M Auto Service has a staff of experienced mechanics that know exactly what your Audi needs. We are proud to back our services and repairs with our 2-year/24,000 mile limited warranty and use the latest available tools and equipment to ensure accurate, quality service with each visit. Whether you need a routine service appointment or would like to learn more about maintenance and repairs available for your Audi please call or visit our shop today. Our mechanics are here to help you take better care of your car so you can enjoy your Audi the way it was intended.